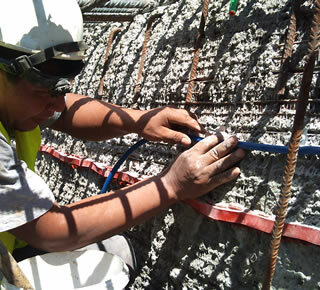 Sealing and repair of all types of joints, both new construction and repairs. Tube injected Inject round tube that lies on all surfaces. The half-round recesses which run longitudinally to the injection system confer a flat contact with the seals only. Do you want information about Sealing concrete joints?